In developmental soccer circles, PDA has earned a great deal of respect. 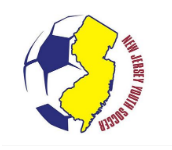 The expansive New Jersey club program annually produces a selection of the nation’s best players on both the girls and boys sides, and Division I rosters are littered with players who came through the club’s prestigious system. On the girls side, the PDA U18 and U15 teams are unbeaten in the ECNL, while the rest are in the top three in their respective divisions. On the boys side, PDA is second in the U18 Atlantic Division and first in the U16 division with a 14-4-1 record. 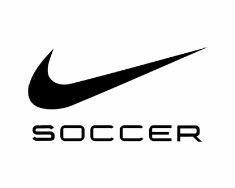 But while the ECNL and Development Academy have developed into a college - and sometimes professional - launch pad for elite players, a number of US Club Soccer NPL divisions are developing a niche as arguably the nation’s best precursor league to those two lofty destinations. Player development is undeniably crucial during the pre and early-teen years, and US Club Soccer is providing an open avenue through the NPL. The PDA girls program in the NPL’s Northeast Girls League leading into the ECNL is arguably one of the nation’s best US Club Soccer youth programs, specifically for players 15 and under. While the PDA U18 team, for instance, is loaded with highly touted Division I recruits like Caroline Chagares (Harvard), Colby Ciarrocca (Vanderbilt) and Rachel Corboz (Georgetown), the club’s youngest teams are ready to restock its ranks. Specifically, the PDA U13, U14 and U15 teams are fast on their way to replenishing the older rosters with top talent. Three of the PDA girls’ youngest teams are all in first place in their respective age groups and in line for trips to the NPL Finals in Greensboro, N.C. in July. The U13 team was 10-1-2 through its first 13 games with 31 goals to just seven against. The U14 side went 9-0-1 through its first 10 to create a three-point cushion over second-place FC Stars of Massachusetts, while the U15 team started the year 7-0-0 and gave up just three goals over that span. Whatever happens, PDA will be well represented at this summer’s NPL Finals. As a result, it’s a safe bet the program’s legacy on the girls side in the ECNL will live on thanks in large part to the swell of talent coming through its ranks.